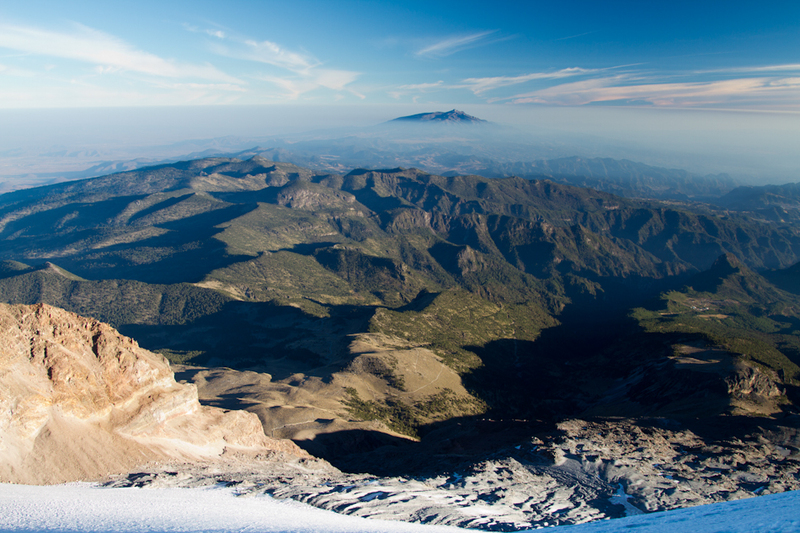 Orizaba is the tallest mountain in Mexico, 3rd tallest in North America (18,491 ft.), and 3rd in my ‘Big Three’ traverse series after Denali and Logan! 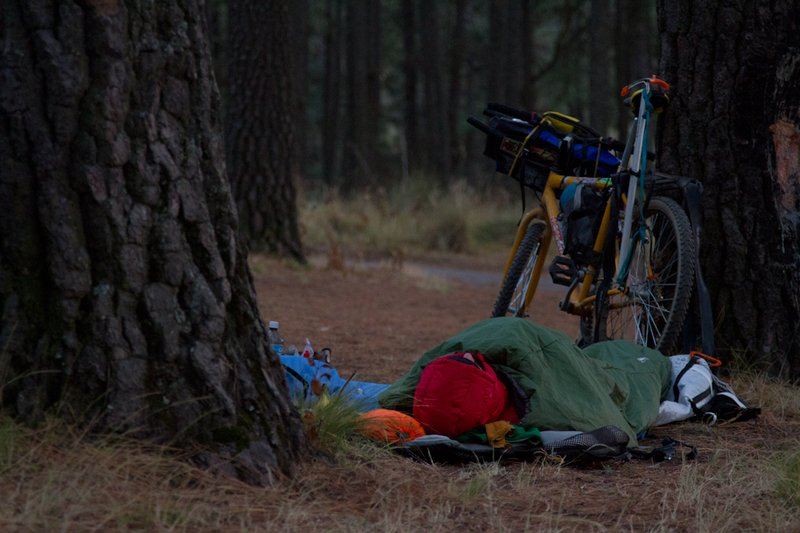 We bought crappy bikes, biked 140 miles, climbed Orizaba, and packrafted 80 miles to the Gulf of Mexico. Todd Tumolo joined from Anchorage and we were met by Jim Harris (Salt Lake City) and Doom (Durango), two blind dates who came recommended by mutual friends. Jim Harris’ incredible photos and writeup. Trip report in Mundo Nuestro [spanish]. Doom’s report, part 1, part 2, part 3. Trip details are below the photographs. The whitewater video is here. The video… feautres clips from an Owl City and Carly Rae Jepsen music video and was blocked (YouTube/Vimeo) for copyright violations. Todd Tumolo, a la playa. In January 1989, when I was 11 years old, the temperature reached -60 ºC. I love Alaska, the unbounded mountains and wilderness, but January is a good time for vacation! I started planning a trip to Mexico after completing traverses over the two tallest mountains in North America: Denali in Alaska, and Mt. Logan in Canada. 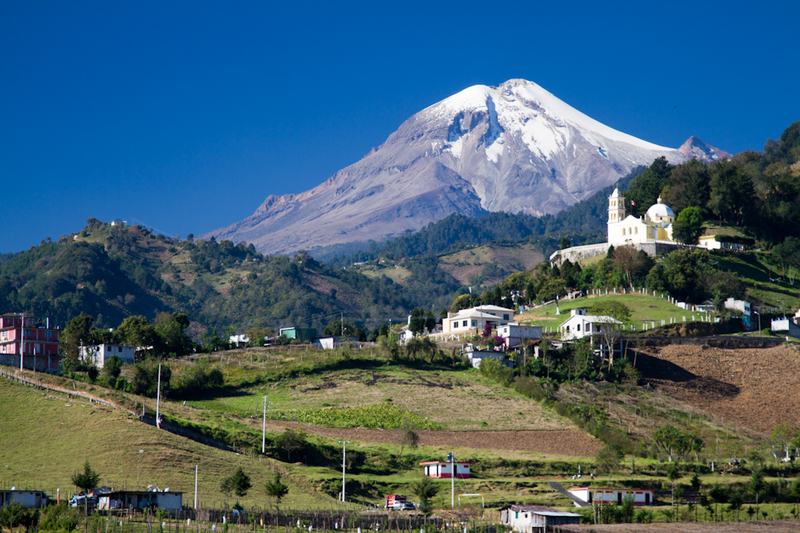 The third tallest mountain, Pico de Orizaba, was the logical next destination. The style of these traverses was to travel by our own means, ‘human-powered,’ carrying our supplies and moving as quickly as possible. It took 25 days for Denali (320 km), and 30 days for Mt. Logan (600 km). 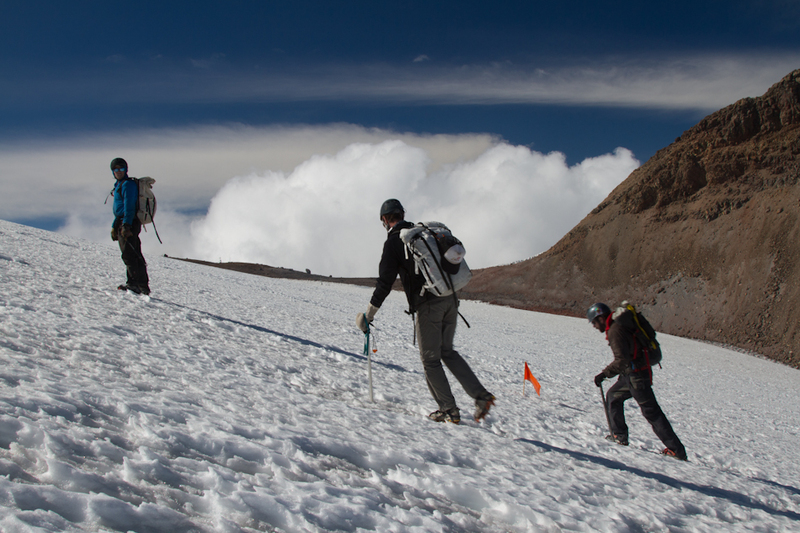 Pico de Orizaba can be accessed by road, but we wanted to ‘earn’ the peak by our own efforts. 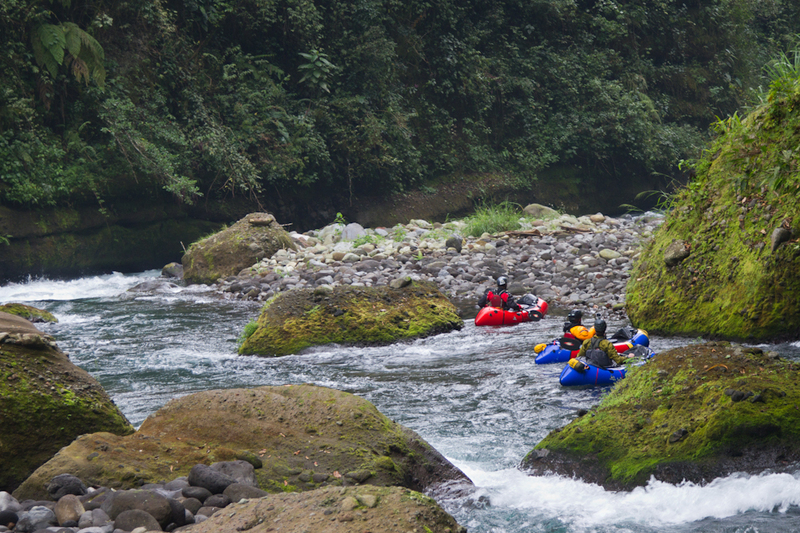 We planned to bike 130 km to the base of Pico de Orizaba, another 100 kilometers to Rio Antigua, and then to raft 130 km to the ocean at Veracruz. Three friends joined for the two-week journey: Steve Fassbinder, Jim Harris, and Todd Tumolo. We anticipated that biking through Mexico City would be the most dangerous part of our trip, so we took the bus straight to Puebla. Puebla is not a small town (Metro area pop. 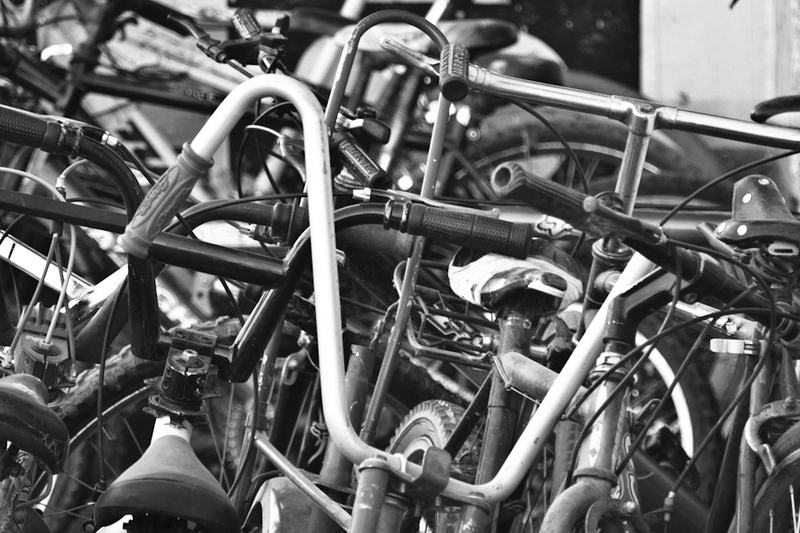 3 million), but with a contact in Cholula I was confident that we could find bikes and a route through the city. Our contact, Prof. Gabriela Ruiz Guevara, was incredible. She picked us up at the bus station and drove us to bike shops. Her hospitality was unexpected, but we came to realize that we could count on generosity in Mexico. We bought the cheapest bikes we could find, ~1200 pesos, and spent the evening rigging equipment. We each carried ~20 kg of gear. Our inflatable rafts (3 kg) were strapped to the handlebars; ice axes, crampons, and warm clothing were mounted to the bike frame. 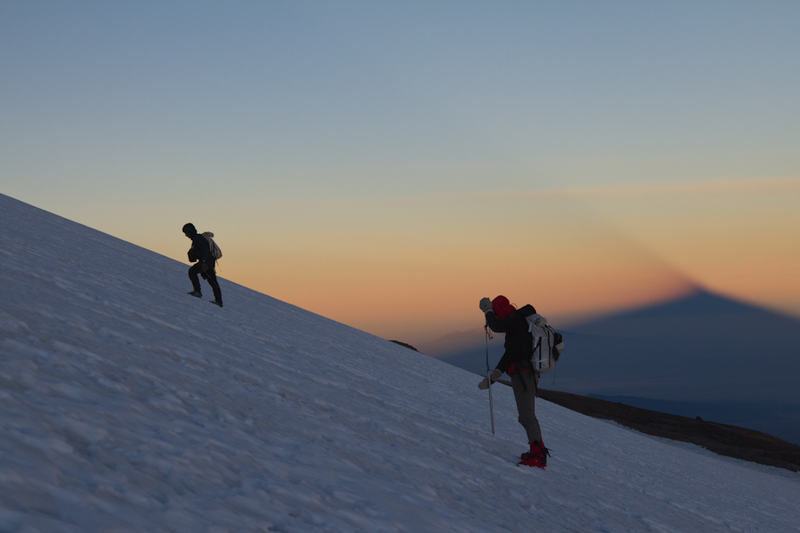 I saved weight by not bringing a sleeping bag or pad, which turned out to be a mistake. We left Cholula early in the morning to avoid traffic. Biking through the city was insane, purely survival mode. The only thing I really remember was that Jim’s paddles struck a van when he swerved between lanes. I was anxious to get to the countryside. With long days on the bikes we made good progress. Some sections of the road had very narrow shoulders, and we took the dozens of dead dogs as evidence that it was safer to bike in the ditches. 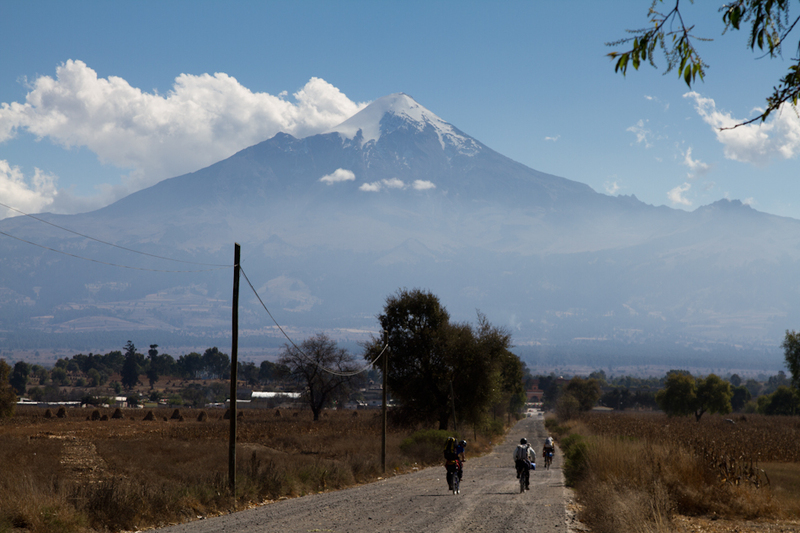 We bought camping supplies in Tlachichuca, and when the pavement ended, we pushed the bikes. 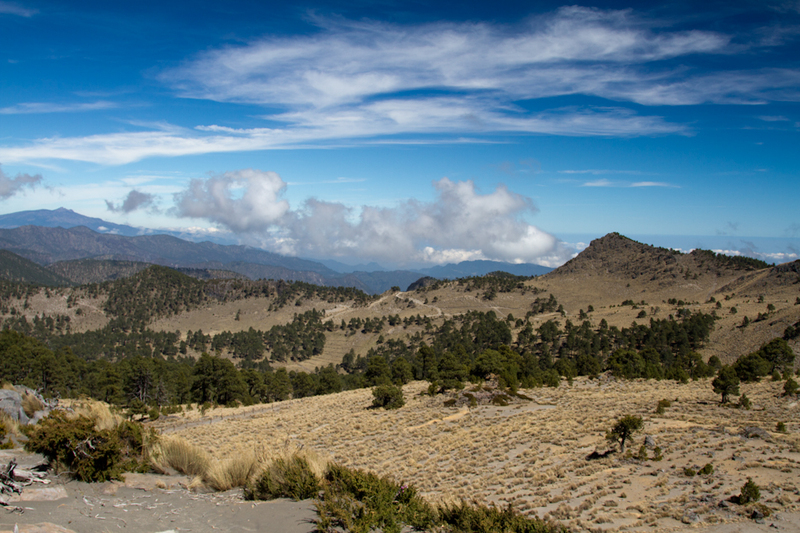 The weather was perfect and it was very rewarding to rise above the campos and see the villages we had biked through. 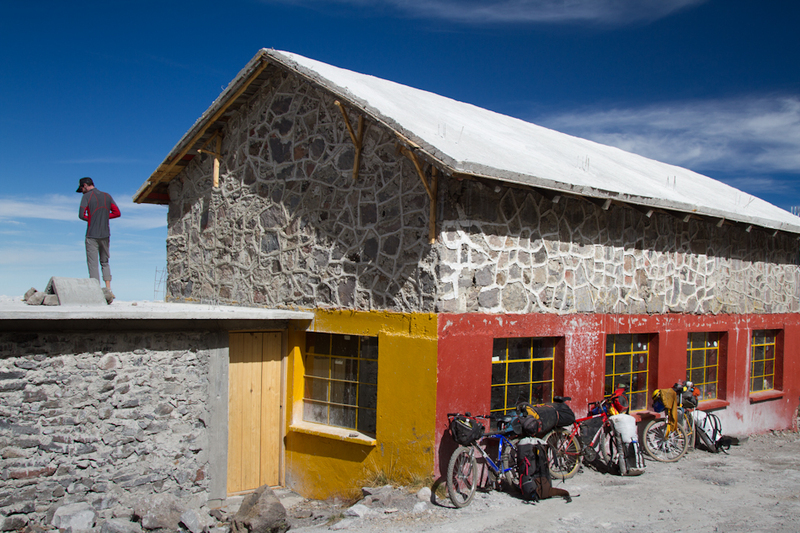 Piedra Grande, the alpine hut at 4260 m, was empty when we arrived, and we spent a day to acclimate, sort gear, fix bikes, and explore. The next day we left the hut at 4 a.m., were on the glacier before sunrise, and found the sun waiting for us at the summit. We didn’t bring climbing boots, so we strapped crampons to our tennis shoes and wore overboots made from used children’s jackets. 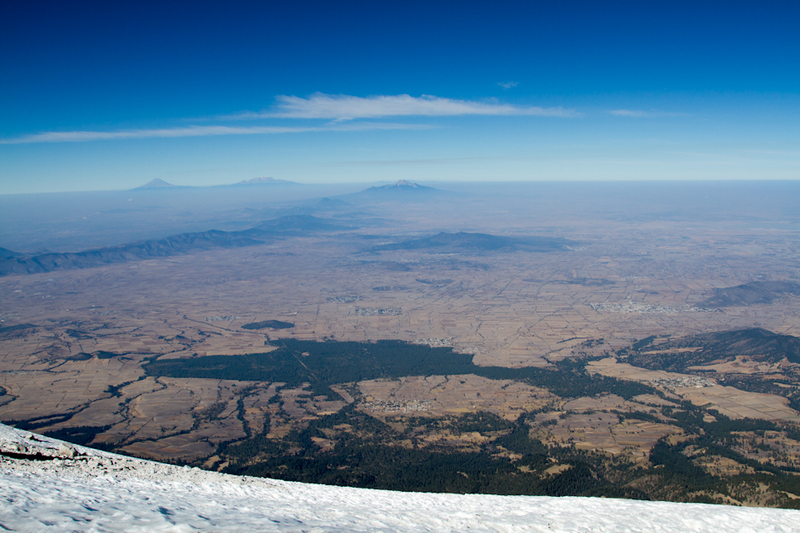 The view from the summit was striking, particularly the contrast between the arid campos to the west and the lush jungle canyons to the east. After relaxing on the summit we returned to the hut, packed our bikes, and started the most incredible descent of our lives. We weren’t sure what to expect. I had selected a route based on poor satellite imagery, and we didn’t know how steep the roads were, or if our bikes would hold up. The roads were great. We flew downhill, kicking up ‘rooster tails’ of dust. The first villages we passed were incredible; unlike anything we had seen on the west side. The children had faces as dirty as ours, and they flowed to us like water from the fields and houses. 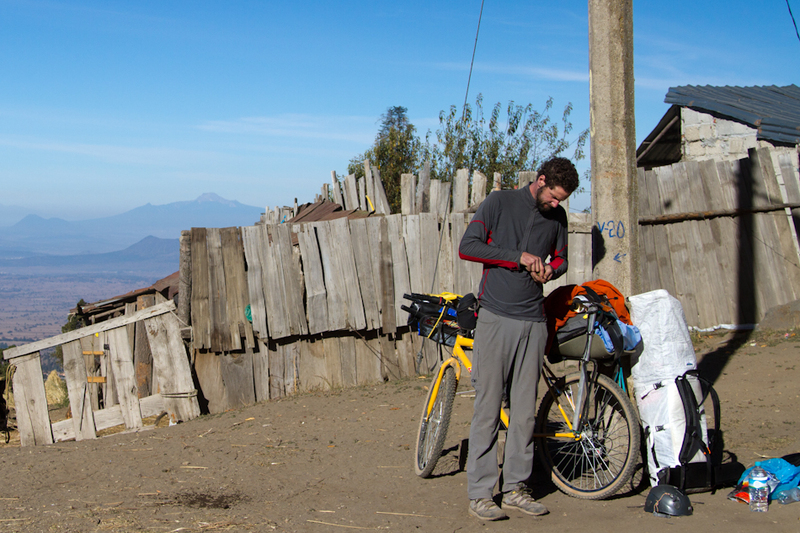 We stopped frequently to tighten bolts and replace brakes, but even so, we descended 3800 m that day. Todd, our least experienced biker, rode with reckless abandon; he clearly didn’t understand how close the bikes were to catastrophic failure, and that a wreck at those speeds would mean broken equipment, or worse, bones. The following days were not as easy; we crossed three massive canyons, exhilarating downhills followed by brutal uphills. The scale of these gorges was new and exotic to me. The walls were covered with green leaves of plants I’d never seen or imagined. 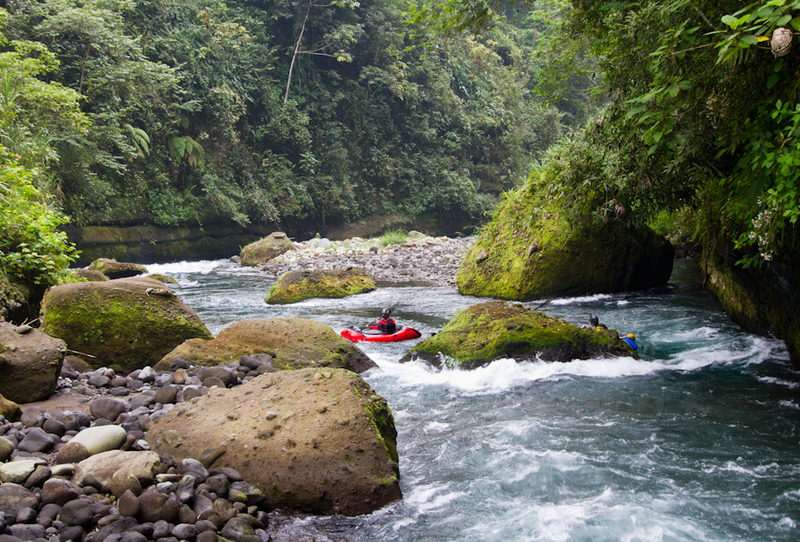 We arrived at Rio Antigua, excited for the clear and clean water. We gave the bikes to locals and bought a few critical supplies: beer and bath soap. The beer was beer, but the bath soap turned out to be laundry soap, which still removed the week of dust and sweat from our bodies, but left us smelling very rosy. 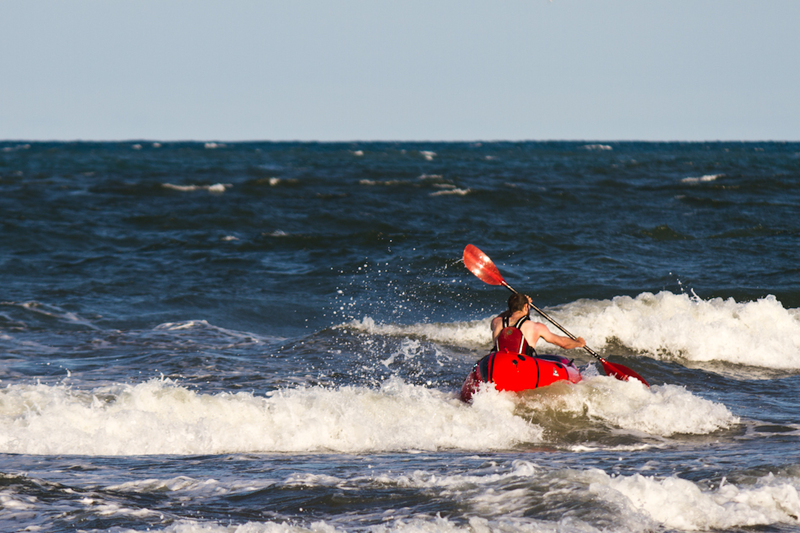 The next morning we inflated our boats and started the 130 km float to the ocean. 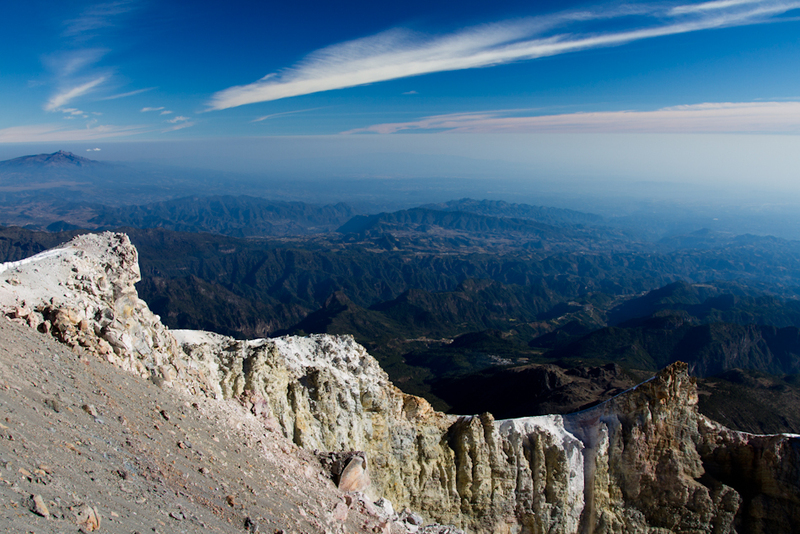 The first day was in the stunning Barranca Grande. The canyon walls were lush with steep rock outcroppings and vultures barely visible overhead. The rapids were not technical, but they were splashy enough to keep our attention. Oranges floated in the water. The next days on the river were not as exciting, but we were pleased with our progress. We began to notice black ash falling from the sky. It took awhile to realize that the ash was from distant garbage fires. The fires and piles of garbage increased as we progressed downstream. We grew to expect plastic bottles in every eddy. It was sad to see this pollution in what was otherwise a stunning landscape. It was also sad to recognize that we were contributing to the problem; we drank bottled water the entire trip. Seabirds, pelicans and herons, were welcome signs that we had reached our goal. The first sight of crashing waves was a thrill. 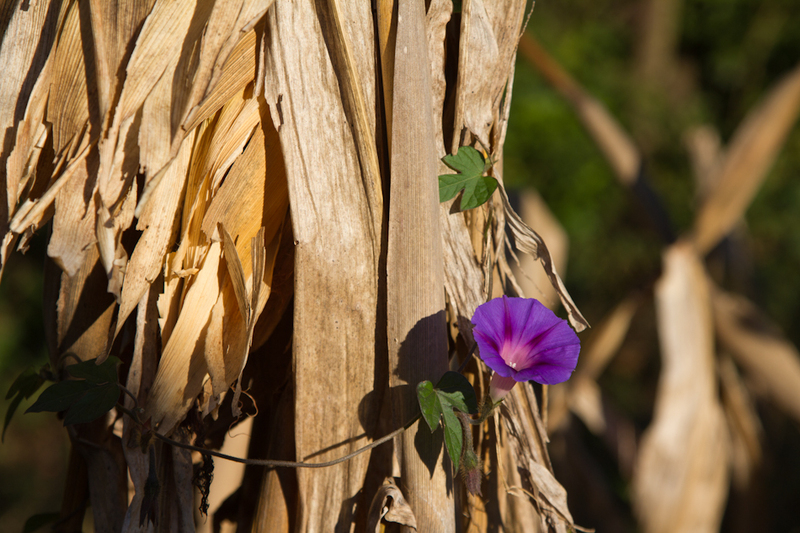 We set our tents between piles of driftwood and prickly pear, and kept a fire burning late into the night. 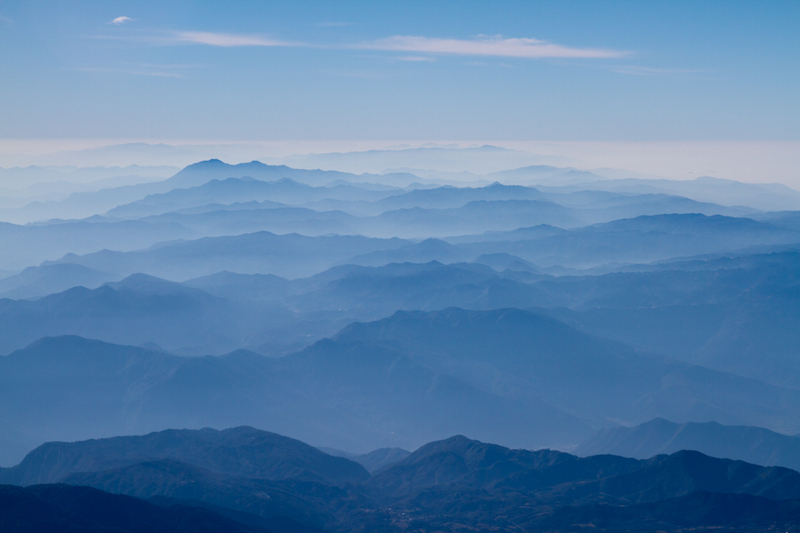 We reflected on our two-week journey through Mexico: the scenery, new friends, delicious food, a sunrise at 5636 m, happy chickens, dead dogs, rattled bikes. When it started to rain we moved to the tents, tired, fulfilled, and not yet ready to acknowledge the departures and commitments waiting for us to the north. 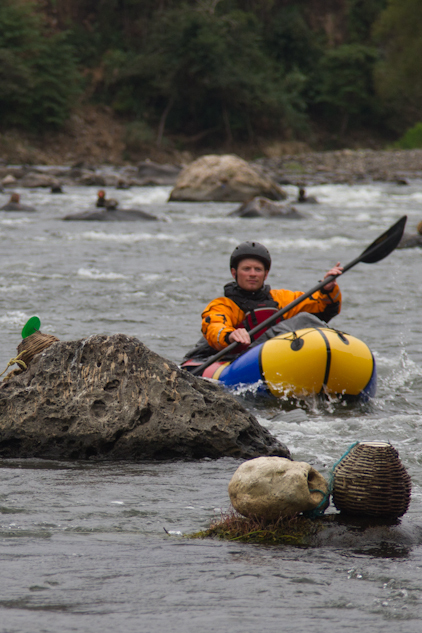 Jim and Doom returned to Mexico City, Todd and I rented a tiny car, braved the Mexican highways, and put in a week of incredible whitewater runs. Check out the whitewater video. How come I never have beautiful women singing, and dancing and cheering me on? Sounds like an awesome trip Luc! I am amazed at what you guys get up to. Maybe some day I will have the time for it as well. The wanderlust is definitely there. Espero cuando vas a venir a Finlandia o Escandinavia das me un toque que puedo venir con vosotros! Stupendous! Lots of gear choices to make before getting on the plane Luc. I love the idea of overboots made from used children’s jackets. I’m interested to find out what crampons you used on tennis shoes. Did you use your C.A.M.P. USA XLC 390s (from the AMWSC gear kit)? And how did they go? Appreciate the info. Cheers. Hi Chris- I used a pair of Kahtoola’s, but the stubby points were scary on ice. the best setup was BD aluminum crampons strapped on with cargo straps. I think you could do the same with CAMP’s, I like CAMP’s crampons, but the straps trick with the BD model was pretty slick. Great – thanks for that Luc. Will check out the BDs.